Build a responsive website and manage your content easily with intuitive WordPress Front end editor. No programming knowledge required – create stunning and beautiful pages with award winning drag and drop builder.In addition to game changing front end WordPress editor, award winning back end editor is available. Quickly build any type of page with simple and intuitive drag and drop interface right from your WordPress site dashboard. And yes! 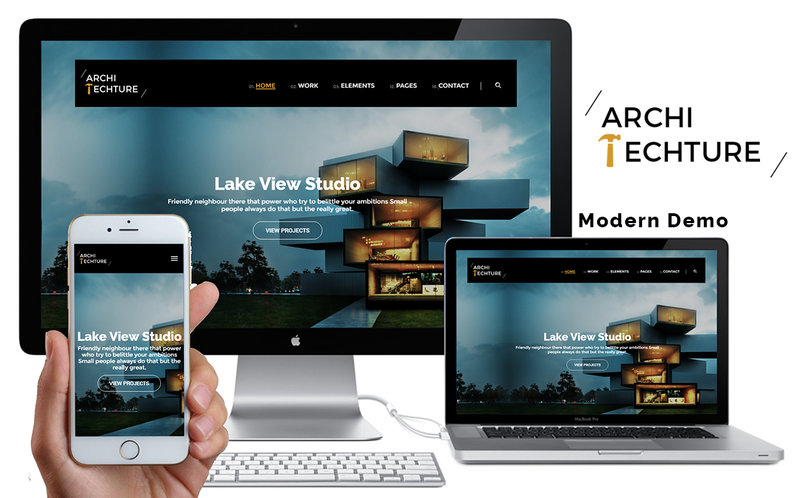 you get it for FREE with Architecture theme. 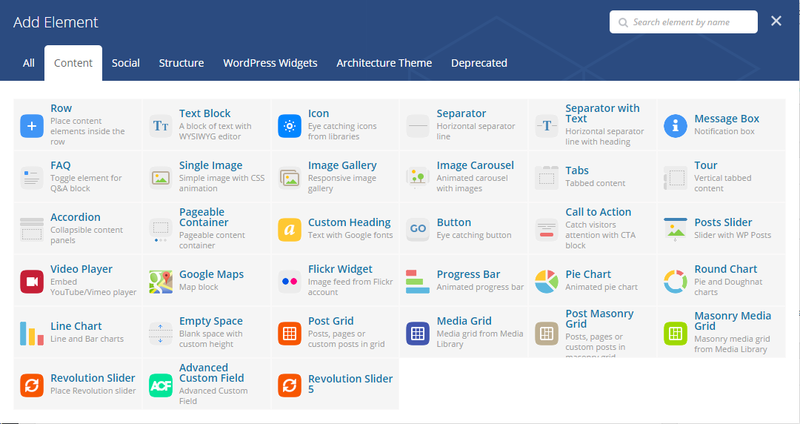 With Visual Composer you instantly have access to 40+ built in content elements available out of the box. Each of content element has been carefully crafted by web design professionals and offers multiple options which is enough to build any layout you can think of. 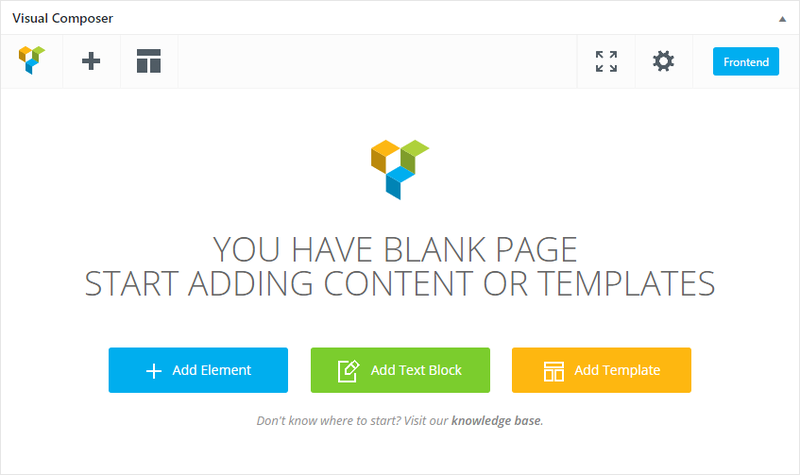 Literally within minutes you can build complex layouts on the basis of our content elements and without touching a single line of code. 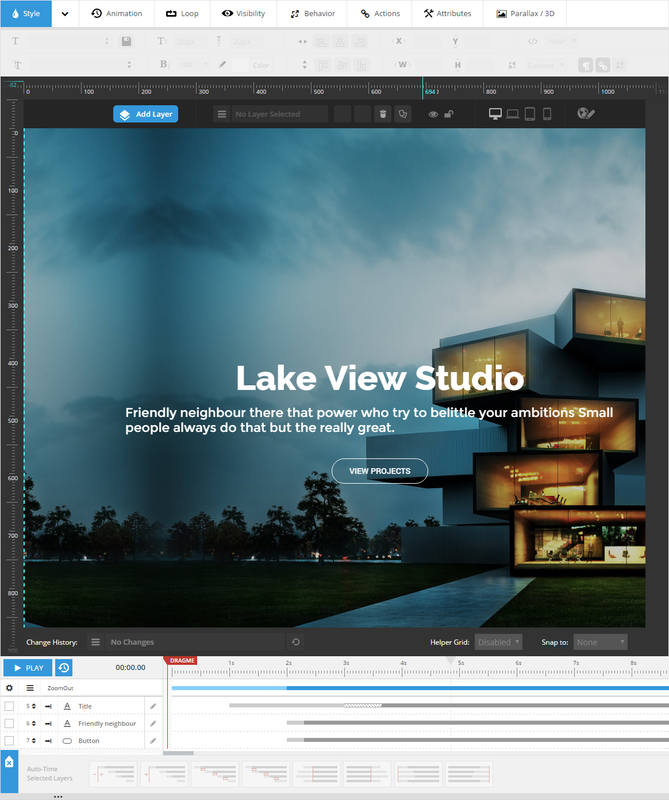 In addition to the visual composer built-in elements, architecture theme provides 13 elegant elements to boost your website's look and feel. Each of these elements comes with alot of options to customize the appearance according to your personal needs. Slider Revolution is an innovative, responsive WordPress Slider Plugin that displays your content the beautiful way. Whether it's a Slider, Carousel, Hero Scene or even a whole Front Page, the visual, drag & drop editor will let you tell your own stories in no time. And yes! you get it for FREE with Architecture theme. OUTSTANDING SUPPORT Have a question that you can't find an answer to? Submit a ticket! We use an advanced ticket system to answer each support ticket that our customers submit. Easy to understand Documentation Complete, detailed instructions on how to use your theme! This is the place to find just about anything you need to know about using your theme. Copyright © Brighthemes 2016. All rights reserved.